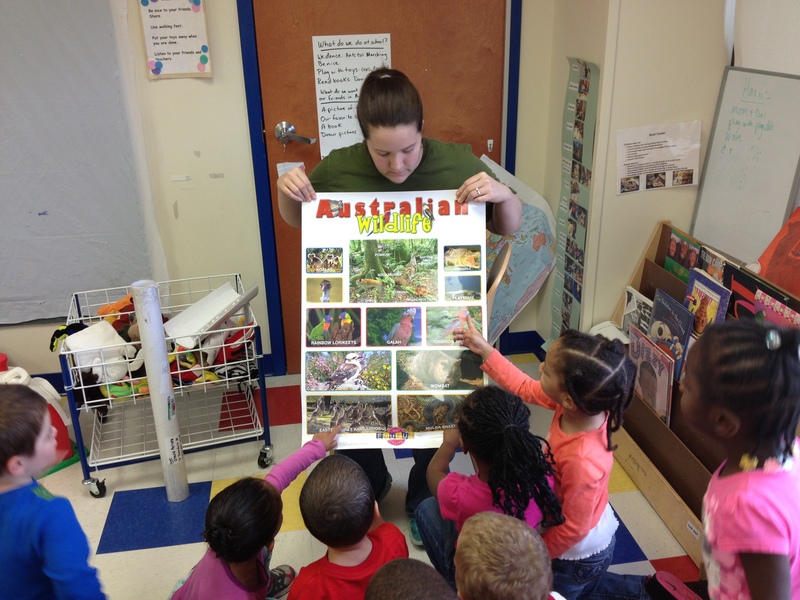 Miss Shanna’s class at Day Nursery Northwest is in a “culture swap” with Holy Trinity Early Learning Center in Australia. Shanna shared this picture today of her showing her class the contents of the package from their friends in Australia which included an Australian flag, some stuffed koalas, stickers and a poster of Australian wildlife. They also received letters and pictures from the children at the center. In exchange, Shanna’s class sent them some handmade fun dough made by the class, a Colts jersey, crayons, some Day Nursery pencils, checkered flags, and some pictures they colored. 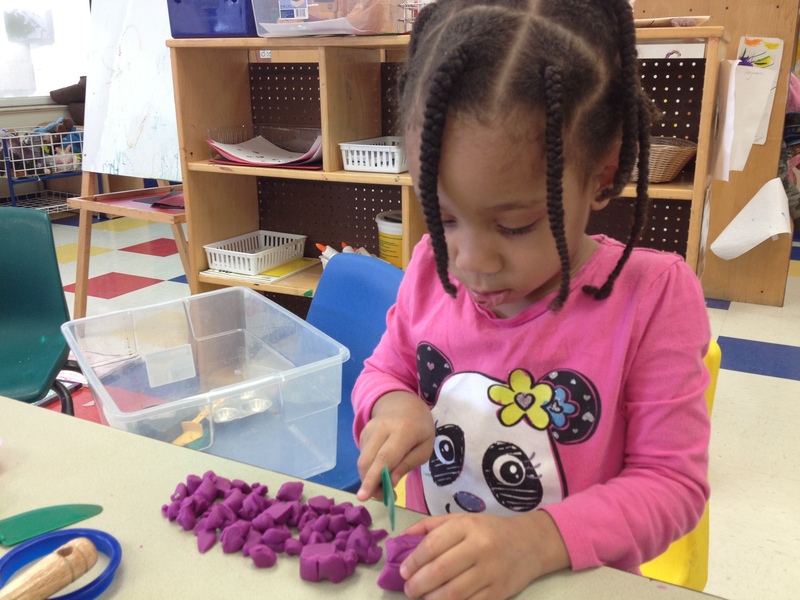 It is not every day that you see a Day Nursery student “mincing” playdoh hot dogs. 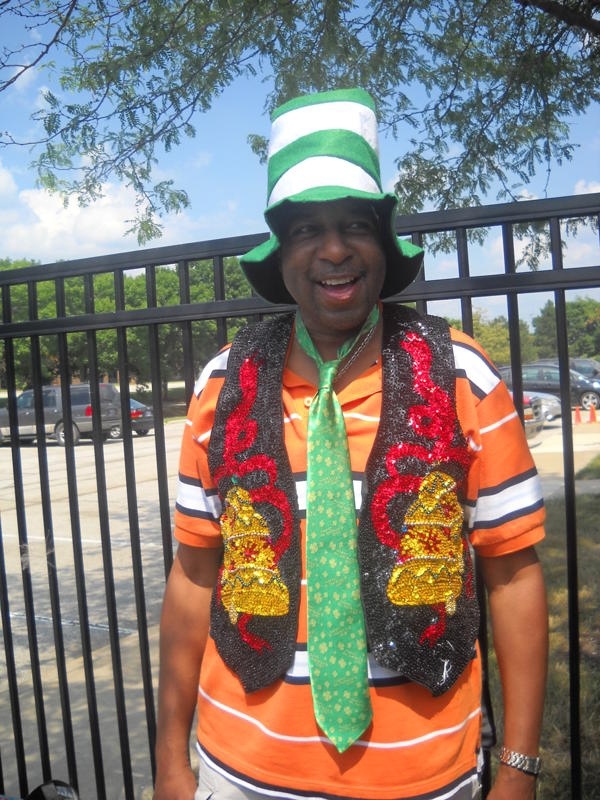 This Northwest Center student loves to pretend to cook. She rolls out the playdoh in a hot dog shape and then carefully minces it with a plastic knife. Her teacher, Shanna Nowosielski says she chose the word mince herself to describe what she’s doing. 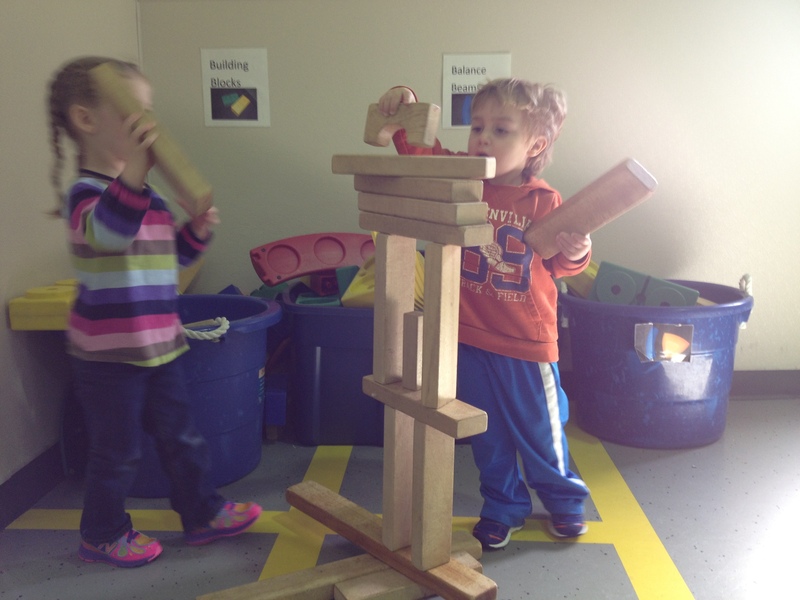 Children learn so many things from block play. They learn to work cooperatively and problem solve. They experience math concepts like patterning, height, weight, balance, symmetry, and cause effect in a developmentally appropriate manner. 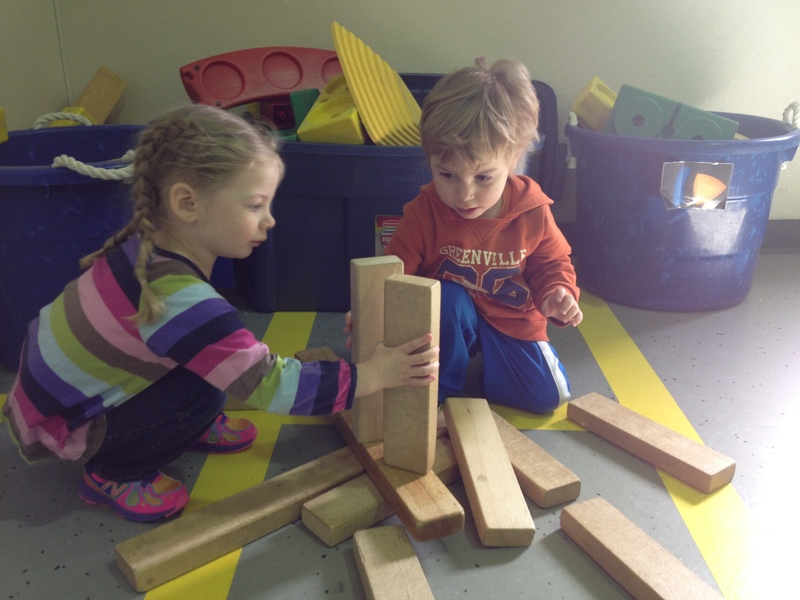 Block play enhances the physical areas of coordination, visual perception, motor development, spatial orientation, and fine motor coordination. 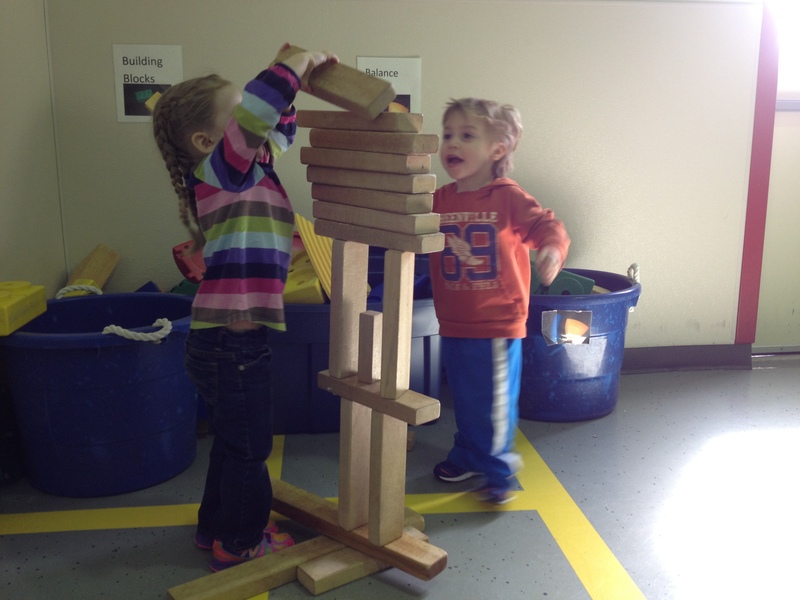 Thanks to Day Nursery Northwest Center teacher Shanna Nowosielski for sharing these pictures of her students. Six of our staff members, Marsha Lindsey (Chief Operating Officer), Shannon Garrity (Ruth A. Lilly Center Director), Sara McHenry (Lilly Center teacher), Jeannette Wrightsman (Lilly Center teacher), Matt Miller (Avon Center teacher) and Shanna Nowosielski (Northwest Center teacher) are in Kentucky today for a professional development opportunity: Building Continuity of Learning through Reggio Approach: Creating Excellence in Education. While we wish we could have sent representatives from every center, we know these six will bring back great information to share with our teachers. The Reggio approach to education isn’t an early childhood method or set curriculum, but rather a deep knowledge in theory and community-constructed values that have been and are continuously being translated into high quality early childhood practices. Posted in Day Nursery Staff, Stuff we want to brag about! 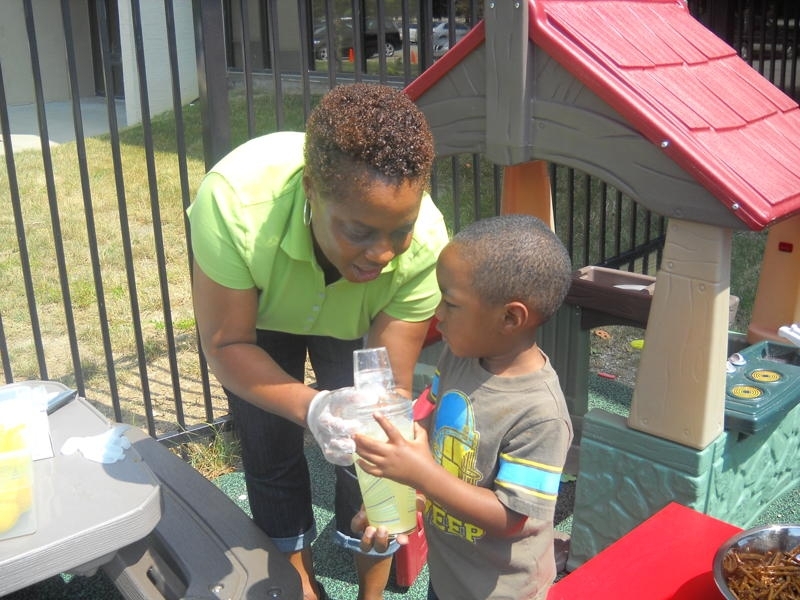 Earlier this month, the three-year-olds at Day Nursery Northwest, lead by teacher Shanna Nowosielski had a family fun day on the playground. 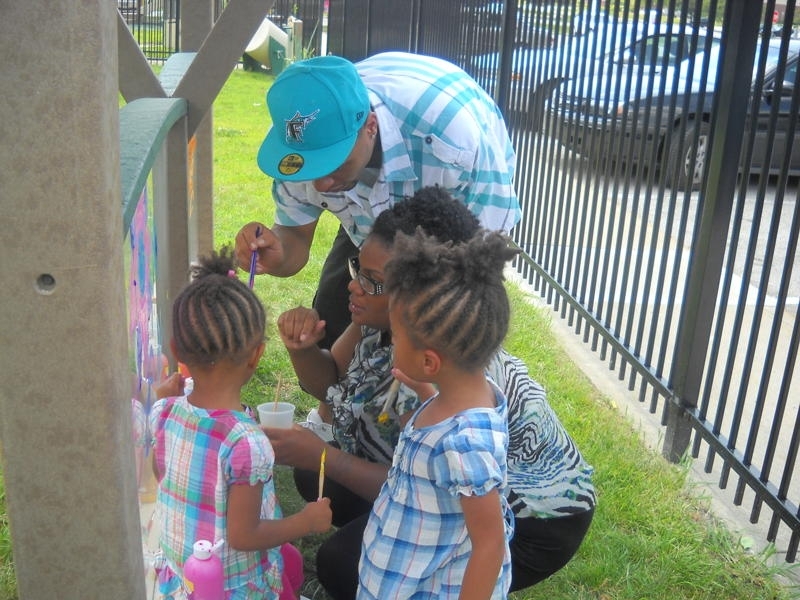 The activities included painting on the easel, digging for “treasure” in dirt in the sensory table with small trucks, dressing up silly with your family, dancing to their favorite songs and exploring instruments. The children (and parents) also had fun building with PVC pipes, exploring the water table with boats and cups and funnels and making their own lemon shake ups. Thanks to Shanna for sharing these pictures with us. The center, which is located at 5735 W. 73rd Street in Pike Township, currently has openings and has an open house planned for next Wednesday, July 27. 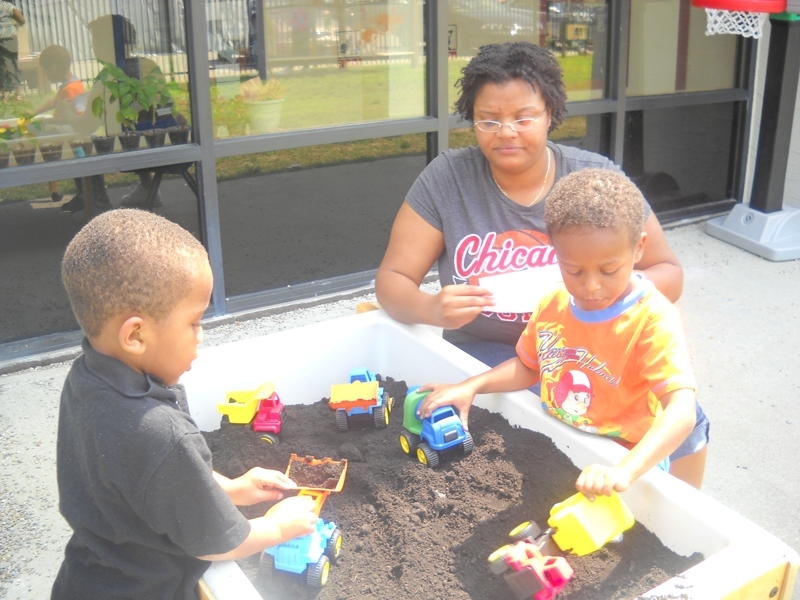 For enrollment information call 291-8048 or email northwest (at) daynursery.org. Jayden's mother helped Jacob to make a lemon shake up. Lomorris, his mother, and another classmate named Devin dug for treasure.